The sixth show in our Haunted Formalism series will be a performance by Leyna Marika Papach, a violinist whose work spans theater, dance, video, and music. VOLUME is pleased to announce a performance by NY-based musician and multi-disciplinary artist Leyna Marika Papach as the sixth event in our Haunted Formalism series at Del Vaz Projects in Sawtelle. Working fluidly between theater, dance, sound, and video, Papach approaches music as a language that enables her to map out and navigate organized invisible realms. Her compositions invite the listener to explore such intangible, indeed even ghostly, spaces, creating a site for connection that reconfigures the movement of time. Influenced by film, her music incorporates transitions drawn from film editing techniques, creating a collage-like effect that addresses notions of the body as a sort of sponge of personae and cultures. 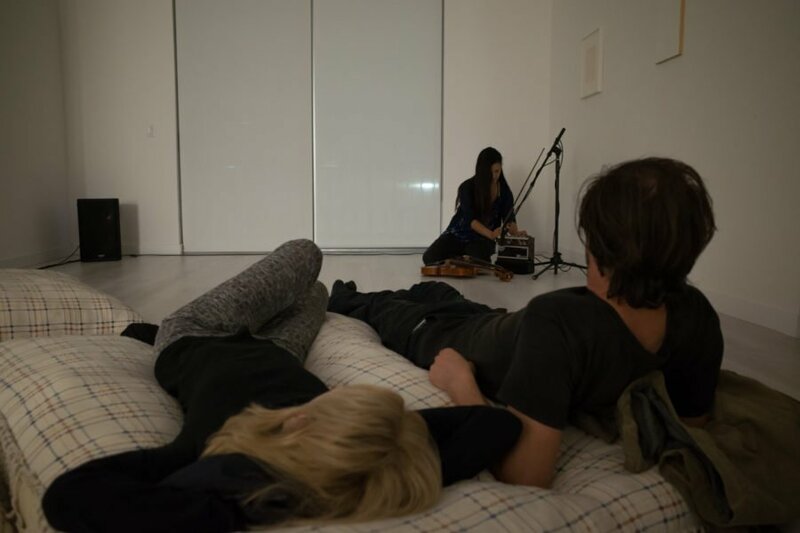 Extending the themes of subtle presence and haunting found in Nicole Phungrasamee Fein and Dean Smith’s new works, Papach will be presenting a new composition incorporating recorded sounds and live violin.